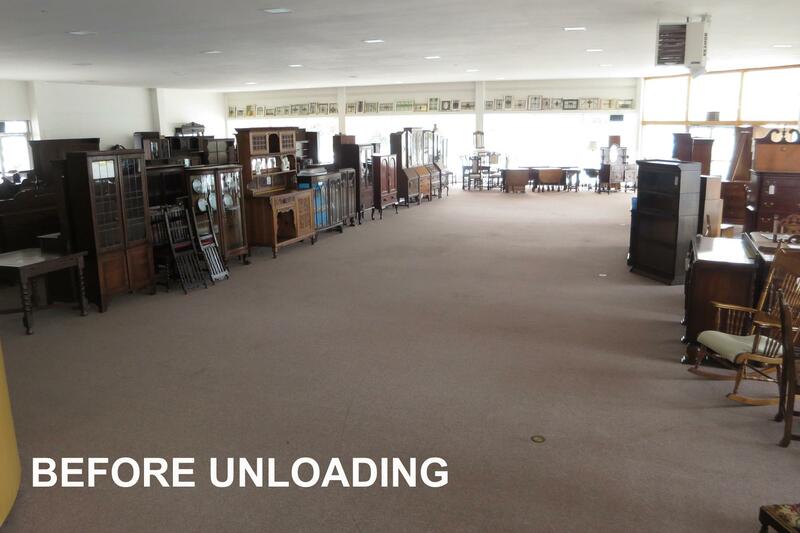 Once more our store is filled with Antiques, actually overflowing. Our most recent shipment arrived the first week of April, 2019. 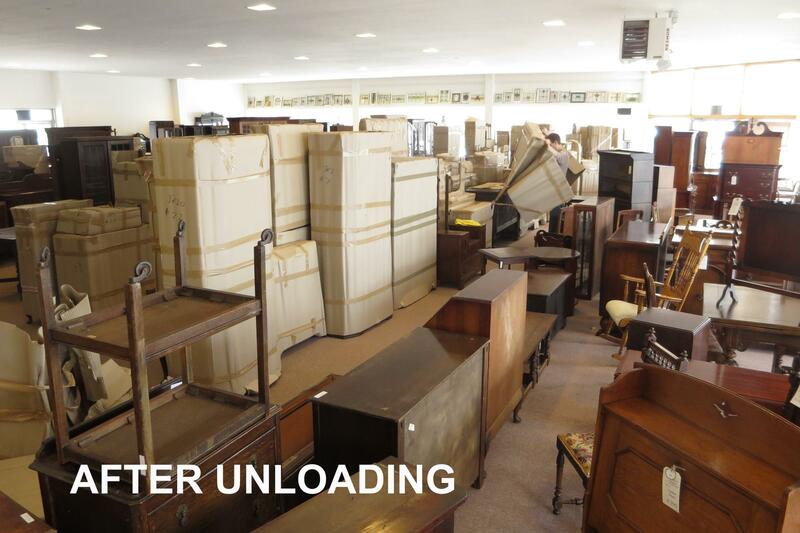 This shipment had lots of wardrobes, coffers, display cabinets, bureaus, and sideboards. Our next shipment due in June will have a good selection of stained glass windows plus 140 pieces of furniture. Join our e-mail list to be informed of exact arrival date. Salvage stained glass windows are more difficult to find because most British homeowners have already replaced or insulated their old windows. We are very pleased to report that we have over 150 windows in December's container. 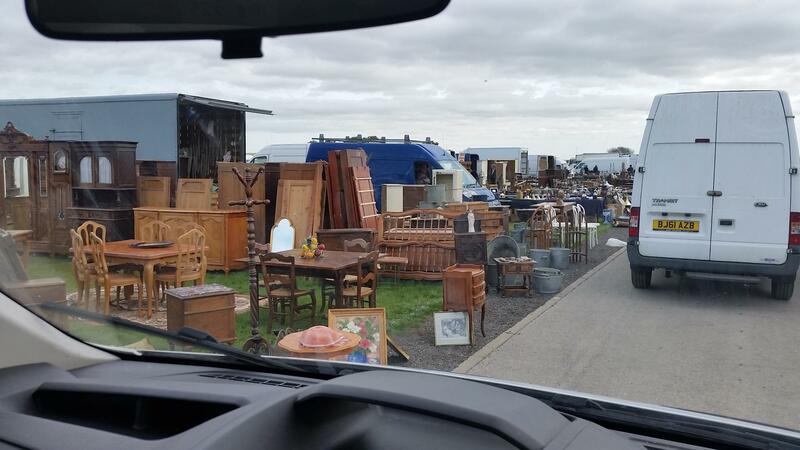 We buy at antique shops, centres, shows, auctions, andtrade warehouses across the England. We ship 40' containers directly to the back door loading entrance of our Shelton, Washington store. 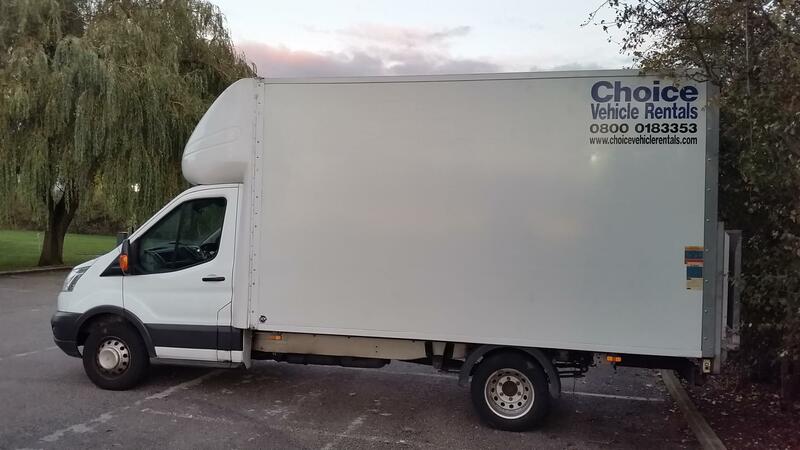 When our box truck is full, we take our purchases to the warehouse in Pevensey, U.K. where our furniture is stored, wrapped and packed into shipping containers destined for our Shelton store.